More women are taking over traditionally male-dominated roles in D.C.'s food and beverage industries. WASHINGTON — When Amy Brandwein started her culinary career in 2000 as a pastry intern at D.C.’s Galileo, she quickly realized her passion was not in pastry, but rather on the hotline. So she traded in her dough blade for a set of knives and started training as a cook. Over the next five and a half years, Brandwein worked her way through every position in Galileo’s kitchen until she was named the Italian restaurant’s executive chef. Five and a half years may not seem like a long time to go from the bottom of the ladder to the top of the kitchen, but Brandwein said her ascent was “really difficult” — and a lot of it had to do with her gender. Brandwein’s experience is not unique. Historically, restaurant kitchens have been run by men. Despite the fact that women constitute the majority of the U.S. food service industry, few have leadership roles in the kitchen. In 2014, Bloomberg Business reported that it was less likely for a woman to be hired as a head chef than as a CEO. However, there has been a rise in the number of women running restaurants in recent years. Boston-based chef Barbara Lynch brings in about $20 million annually from her collection of dining establishments, and New York’s April Bloomfield runs two Michelin star restaurants. The trend is not just national; D.C. is experiencing a similar feminist uprising in the kitchen. Brandwein, who is opening her first restaurant, Centrolina, in June, says chefs such as Nora Pouillon and Ris Lacoste helped to pave the way for other women in Washington. Last year, Ripple’s Marjorie Meek Bradley was selected by Food & Wine Magazine as one of 10 contenders for people’s best new chef: mid-Atlantic. Since Brandwein was appointed executive chef at Galileo, she’s gone on to run several kitchens, the last of which was Alba Osteria. And over that stretch of 10 years, she’s picked up on a few reasons why women are underrepresented in the kitchen. “I think there’s still this perception out there that the chef is a big guy with big knives and a big attitude, and that in order to be a chef you have to use brawn and really aggressive tactics to get food out of the kitchen. I think that that’s very intimidating for most people, for most women,” Brandwein says. She says the hours and the physical demands of working in a fast-paced environment may also contribute. “You have to be able to do the job that your counterparts are doing and that means lifting things that are 50, 60, 100 pounds. That means you have to be able to get through a service of seven hours on your feet with burns, cuts, the whole nine yards. You have to be able to do that and you need to be able to withstand that kind of pressure,” she says. Doron Petersan, the founding owner of Sticky Fingers Sweets and Eats in Northwest D.C., found it difficult to even find a job in the kitchen. She started working in restaurants when she was 15, but could only find positions in the front of the house, serving and hosting. “As much as I wanted to, because I thought it was interesting, [working in the kitchen] was never even a real option because they just didn’t hire women,” says Petersan, who opened Sticky Fingers in 2002. Since she first started working in the industry, Petersan says she has “absolutely” noticed a shift in leadership roles, but still sees more men heading up baking and cooking operations. Women aren’t just settling into leadership roles in the kitchen: Other areas of the local food and beverage industry are seeing an increasing number of female leaders. Emily Bruno, 33, is the director of business operations at Silver Spring’s Denizens Brewing Company. She is also one of the brewery’s four founders, three of whom are women. Similar to the restaurant industry, men have long led the beer business. But in the last decade, women have gone from being a rare sight on the brewing floor to a regular presence, The Atlantic reports. The country’s third largest brewery, New Belgium Brewing Company, was co-founded by Kim Jordan, who also serves as the company’s CEO. There’s even a network for professional female brewers, called the Pink Boots Society, which has close to 2,000 members. But just because female brewers are more common, doesn’t mean women in the brewing industry don’t run into gender-related hurdles. Bruno and Denizens co-founder Taylor Barnes both explain that in the past, women were used to market beer. But now, women are increasingly becoming the target audience for those marketing campaigns. According to statistics from the 2014 Great American Beer Festival, women aged 21 to 34 consume craft beer at a level above the national average, and represent 15 percent of total consumption. The increased interest in the industry likely contributes to the increasing population of female brewers. Similar to running a kitchen, Bruno says the physical aspects of brewing likely kept the field traditionally male-dominated. “There’s a physicality involved in brewing — you’re lifting a lot of weight,” Bruno says. 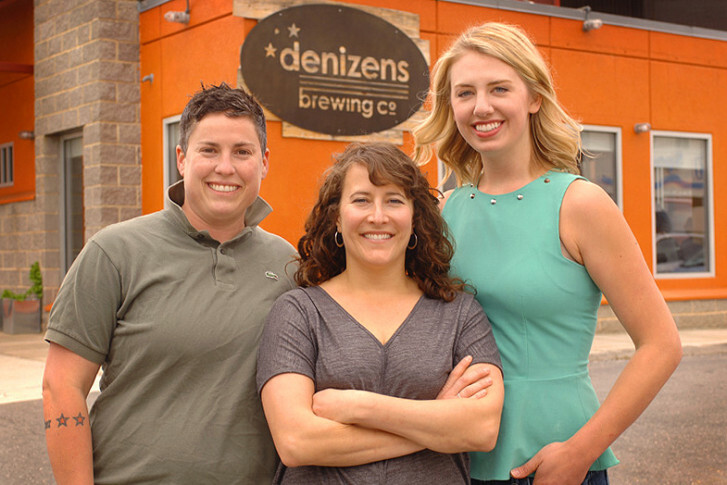 About 60 percent of the employees in Denizens’ 400-seat taproom are women, and they are frequently required to change out the bar’s 180-pound kegs. Another market that is bringing in more female drinkers and professionals is the spirits industry. D.C. residents Pia Carusone and Rachel Gardner recently announced their plans to become the District’s first female-owned distillery. The two entrepreneurs plan to open their Ivy City operation, called Republic Restoratives, later this summer. And when they do open, they’ll be among the minority in their field. “It’s a lot of moving heavy bags of grain, dealing with hazardous material; it’s just not an industry where you find a lot of women,” Carusone says. Recently, the two business partners traveled to Louisville, Kentucky, to learn more about making spirits and witnessed the gender divide, first hand. Despite the initial reactions, Carusone and Gardner say everyone in the industry has been supportive of their business. “But it’s like all men, in every aspect of this business,” Carusone says. Of course it can’t be overlooked that the increasing number of female chefs, brewers and distillers coincides with the growing number of women who are choosing to start their own businesses. According to The Atlantic, the number of women-owned firms has grown 68 percent since 2007. Taylor Barnes of Denizens says that she appreciates when the business owners’ gender is merely an afterthought. “Four young, ambitious people are running a place for the community, and we happen to be women. That’s how I feel we’ve been received and I appreciate that,” she says. 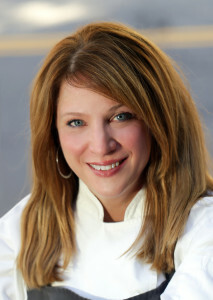 Keeping the momentum going is key, says chef Amy Brandwein. And the best way to perpetuate the revolution of women in the food and beverage industries is to keep talking about the women who are succeeding.